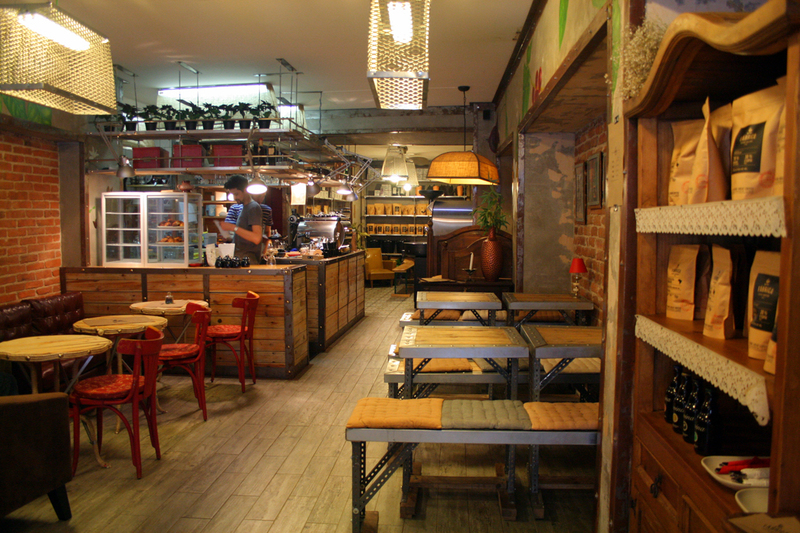 FÁBRICA COFFEE ROASTERS: Time for a Portuguese coffee revolution? Since we saw the sign “Best Beans. 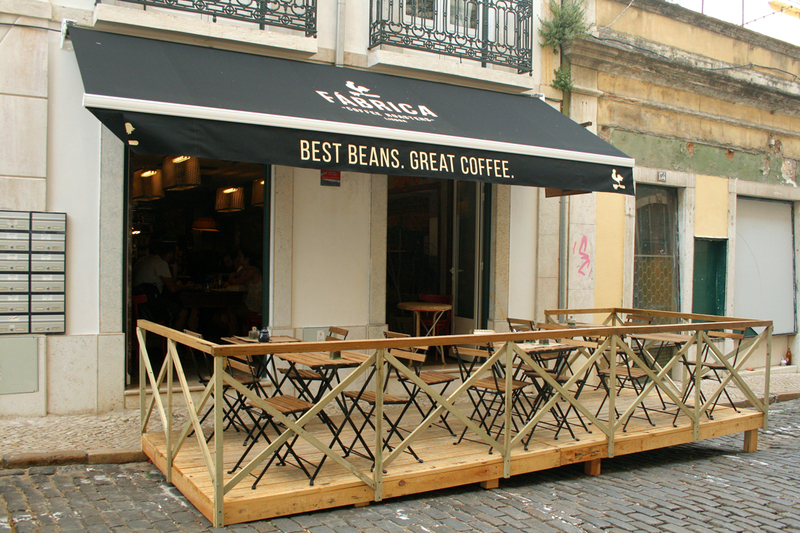 Great Coffee.” on the outside of a house in one of Lisbon’s most touristic streets, we have been critically eyeing the setting up and furnishing of Fábrica Coffee Roasters. Today, while we were on the way to Lisbon’s best ice cream shop Mú (review coming soon…) we saw that they had finally opened. Already the menu was exciting to us – we could not only choose between a factory blend (70% Brazil and 30% Ethiopia) and single origin coffee but they are also offering filter coffee like V60 and Aeropress. While the factory blend did not impress us immensely, the single origin coffee from both Ethiopia and Columbia with its complex flavours can keep up with international coffee breweries like Berlin’s The Barn or London’s Prufrock Coffee. When you come from a more Northern European country, you are used to the standard of a black flavourless Americano style filter coffee that is either drunk just with milk or – à la Starbucks – mixed with sugary syrups and artificial flavours so that you will not taste the quality of the coffee anyway. In Portugal, the standard is somewhat higher. 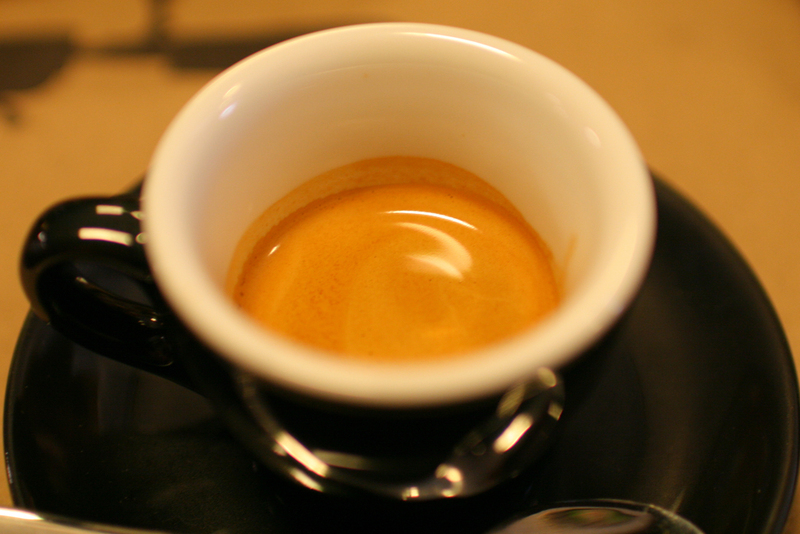 At least, when you ask for a “café” you will actually get an espresso and not some diluted dishwater. However, the beans are mostly burned and result in a strong but somewhat bland and, in the worst case, a very bitter drink that turns your stomach. 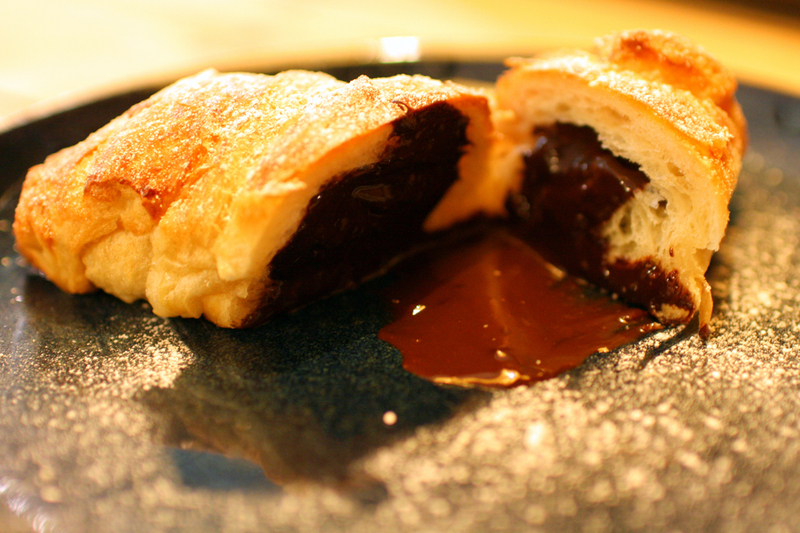 It’s not very startling that it is always served with two sachets of sugar – and yes, I can attest that there are quite a lot of Portuguese who actually dump the contents of both sachets in their coffee. It might come as a great surprise to those people that coffee can actually be as refined as wine and can taste of lemon and jasmine like Fábrica’s Colombian roast. Talking to one of the baristas, Kirill, we learned that the coffee shop was actually opened by the owner of the marvellous Russian restaurant Stanislav, just a few 100 meters from the coffee shop. Yes, the owner and most of the friendly staff is actually Russian. And here are two things that I didn’t know: Even though Russia does not have a great coffee culture, small specialty coffee roasteries are booming in Saint Petersburg and Moscow. Secondly, the small Bavarian town of Nuremberg also seems to have delicious high quality coffee, which inspired Stanislav to open this coffee shop in Lisbon.